You know the Christmas is right around the corner when the countdown gets REAL! We start picking up the Christmas tree, decorating the houses, baking cookies and shopping till we drop. Christmas is no longer a season or occasion, it is a state of mind. 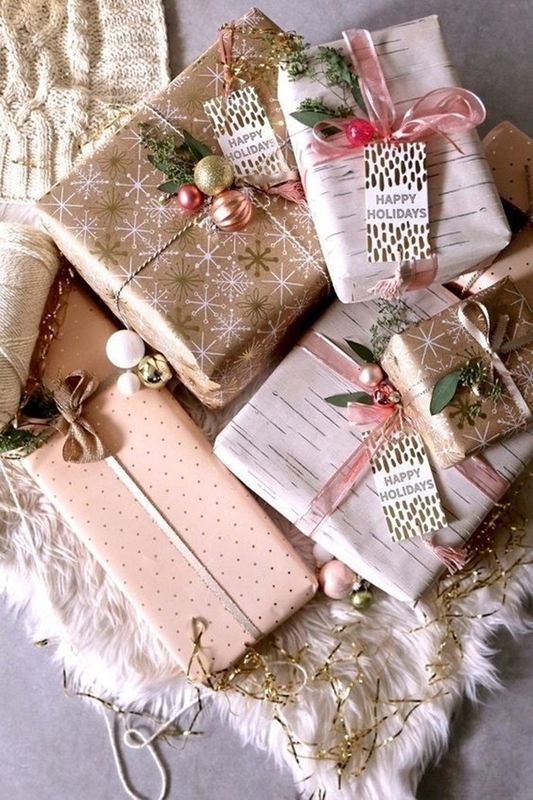 We buy so many presents for all the loved ones and it’s time to wrap those. 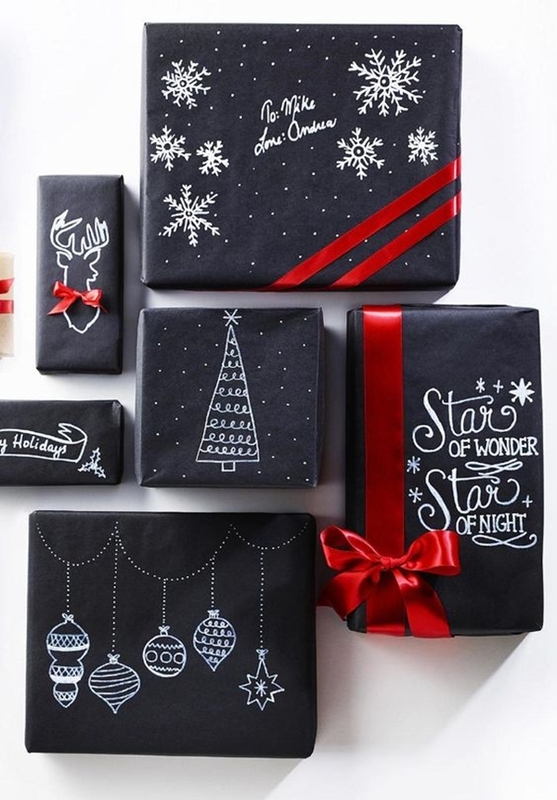 When everything around is pretty and decorative, why should the gifts be packed with the boring gift papers? If your Christmas decoration is still not done, these beautiful decoration tricks will make your task easier and quicker. 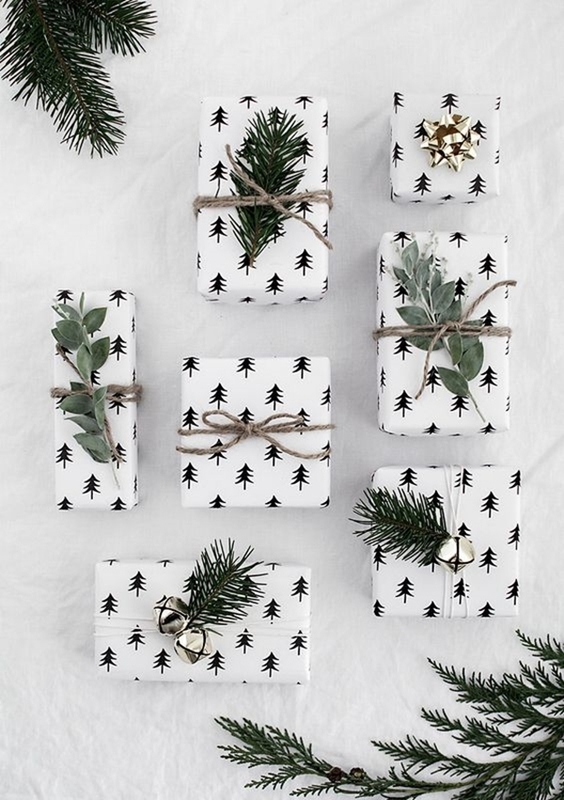 Take your gift wrapping skills to next level with these brilliant gift wrapping ideas for this Christmas. 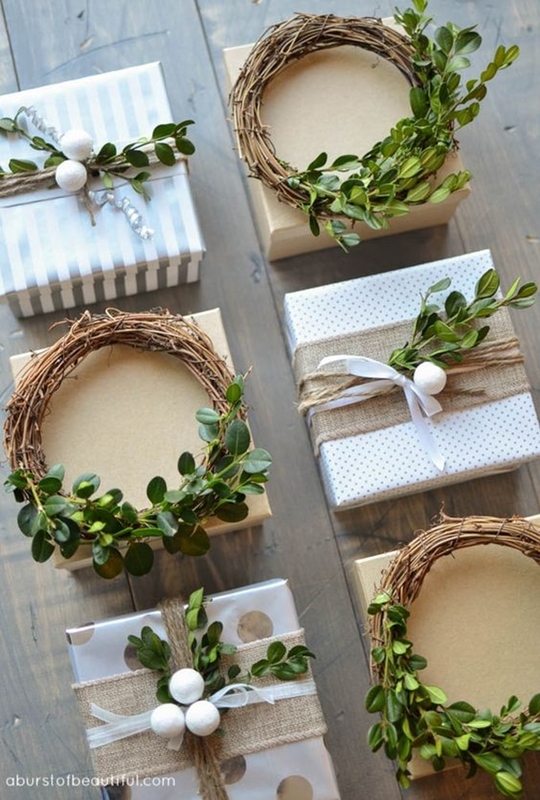 These ideas will add a personal touch and spruce up your gift packaging. For addressing the gifts, everyone uses the gift tag. That is so cliche. 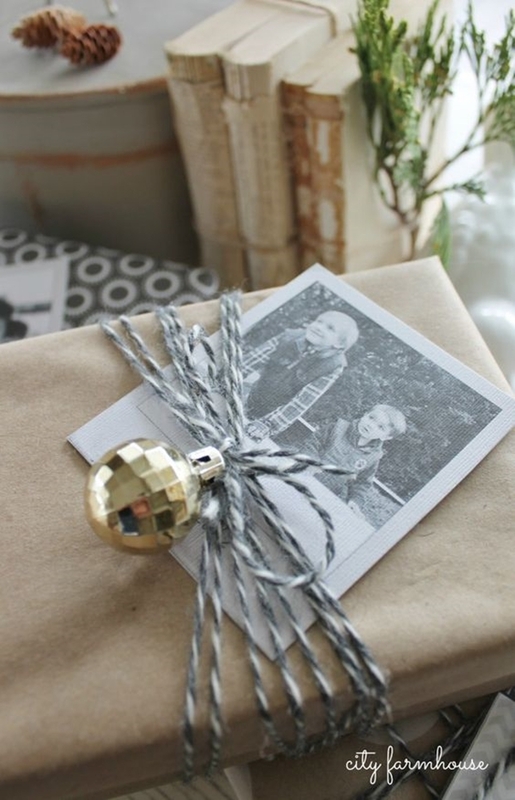 Spruce up and personalize your gift with a photo tag. Print the photo of the person you have got the gift for and paste it on the gift paper. 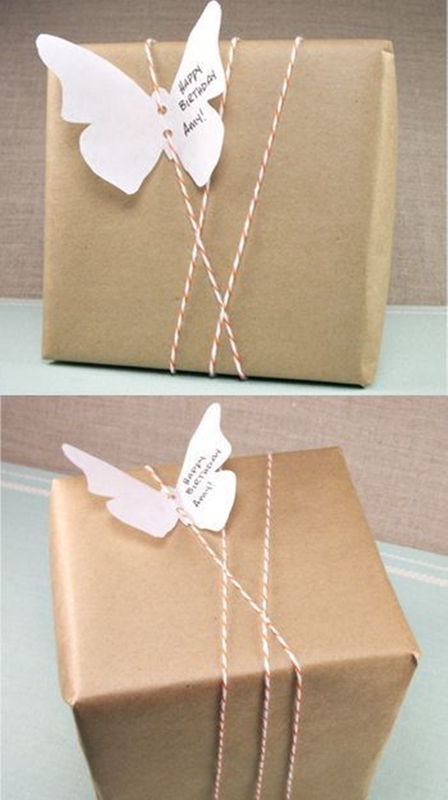 You can wrap the gift with the brown paper or any Christmas themed gift paper with a photo tag on top of it. 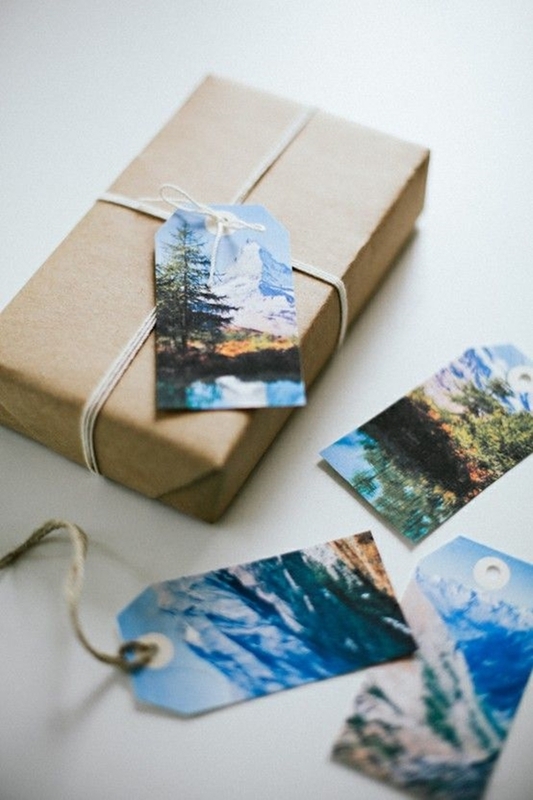 Photo tags are brilliant gift wrapping ideas for this Christmas. 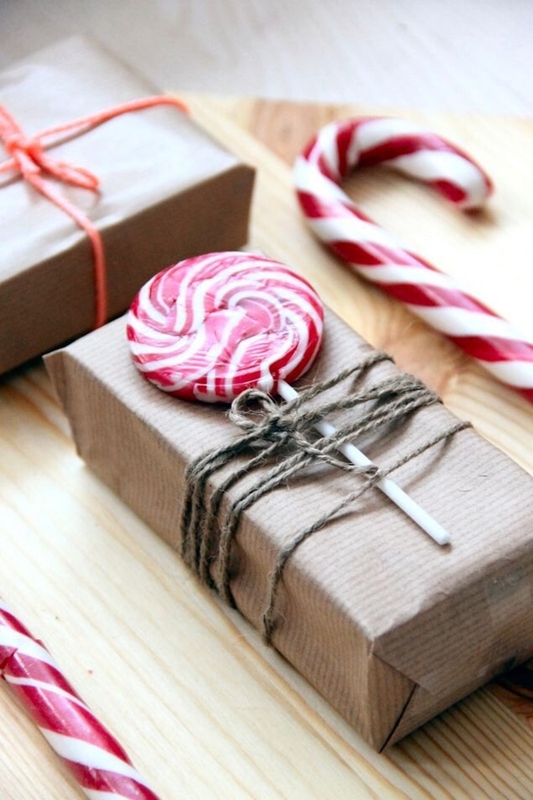 Engage the kids into making some super easy Christmas themed crafts, while you wrap the gifts patiently. Kids love everything fancy and colorful. Christmas waves a magic wand around the surrounding making everything so colorful and pretty. 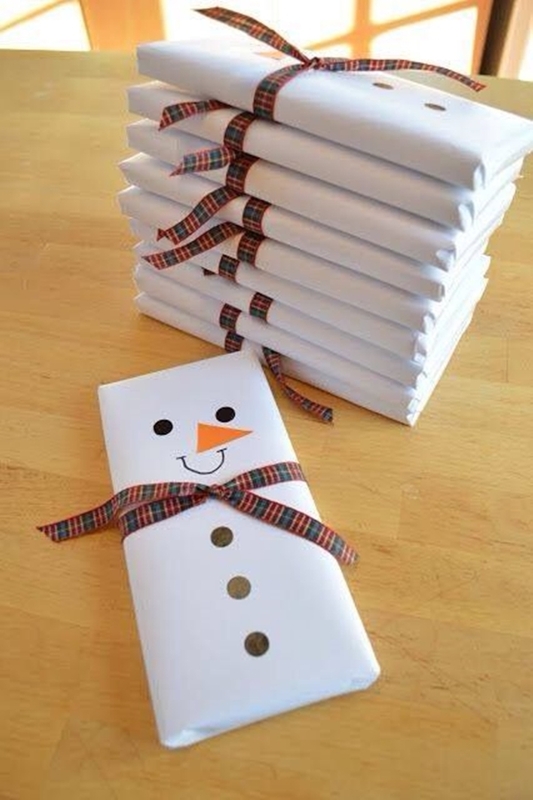 Let’s make brilliant gift wrapping ideas for this Christmas for kids. 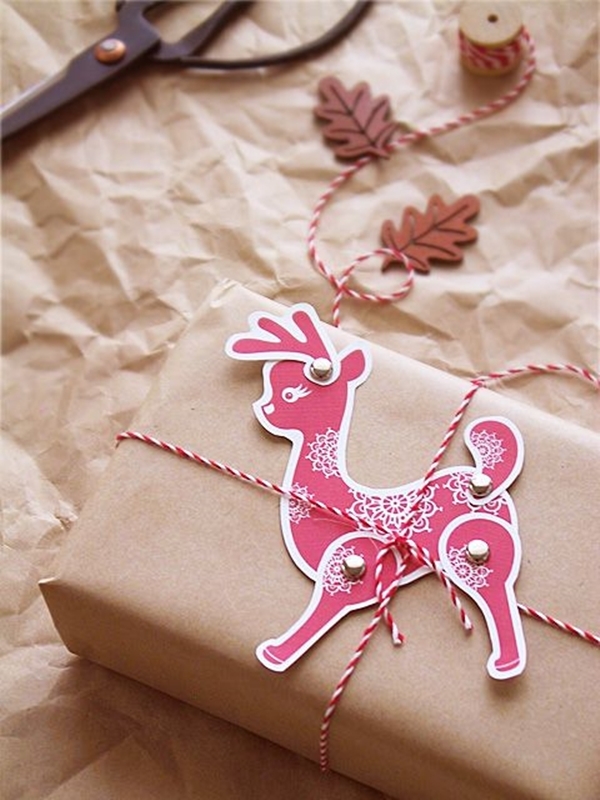 Draw a colorful reindeer over the brown gift paper and stick cute pom pom on the reindeer’s nose. Finish it by wrapping a simple thread around the gift. Cookies are my favorite thing about Christmas, just like your gift wrapping, the cookies should also be delicious and creative for Merry Christmas. 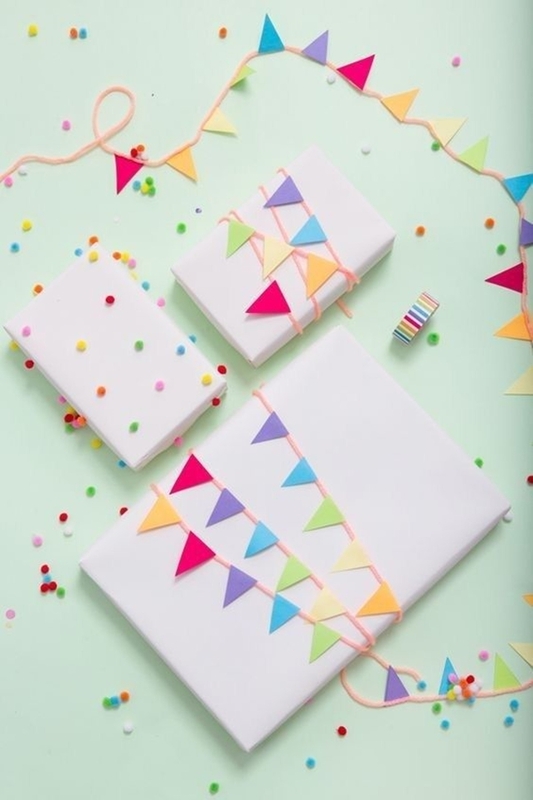 Make cute little bows with color paper and stick it over a thread to make a bow garland. 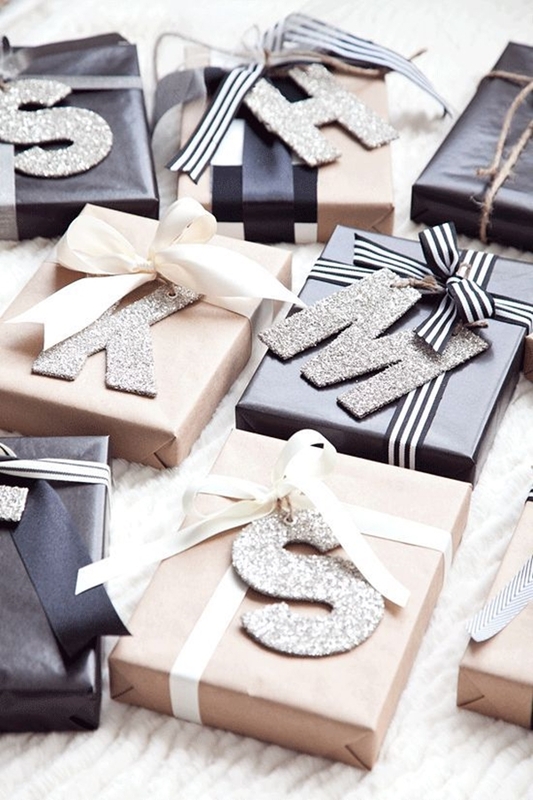 Wrap the bow garland around the gift to make it more appealing. You can jazz up the bow by using printed color paper or sticking cute jewel on the bow. Bows are so easy to make, it is hardly going to take any time. Have an amazing Christmas party with the kids, to double the fun, have a Santa Claus visit your house with his merry good vibes. 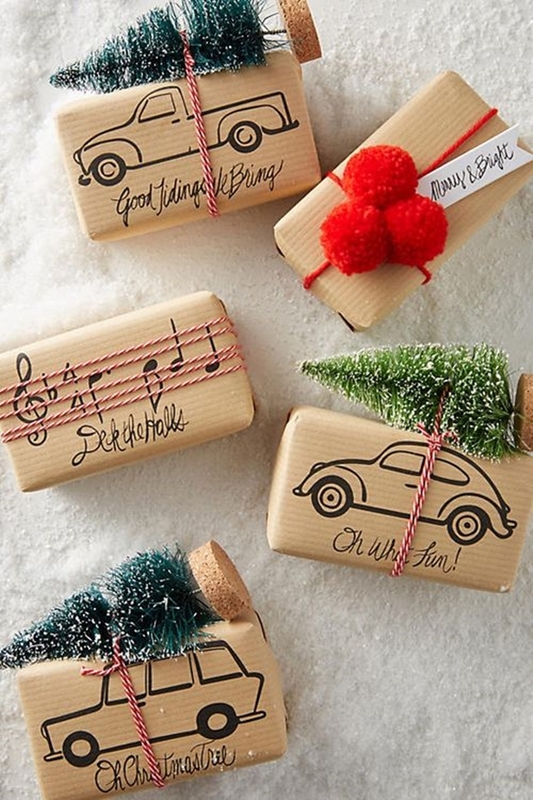 Add a little classy washi touch to your gift. Washi tapes come in so many colors, designs, and prints. It is the most easily available thing for decoration. 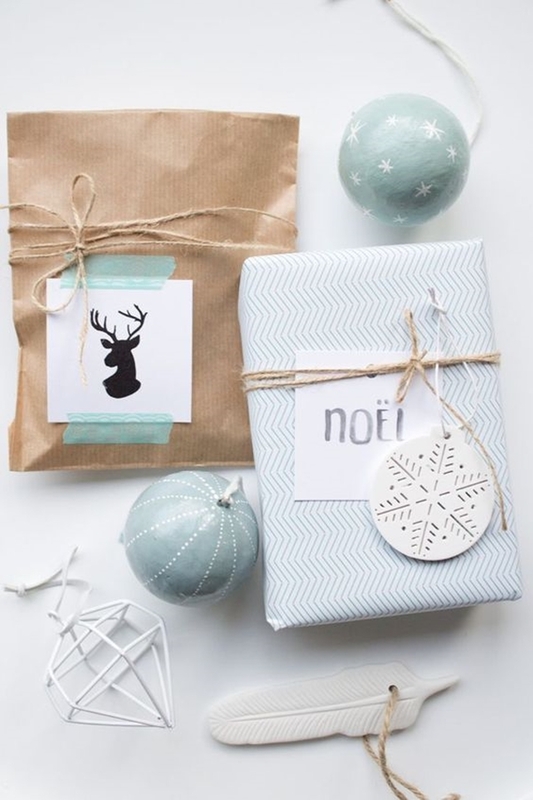 Washi tapes are brilliant gift wrapping ideas for this Christmas. 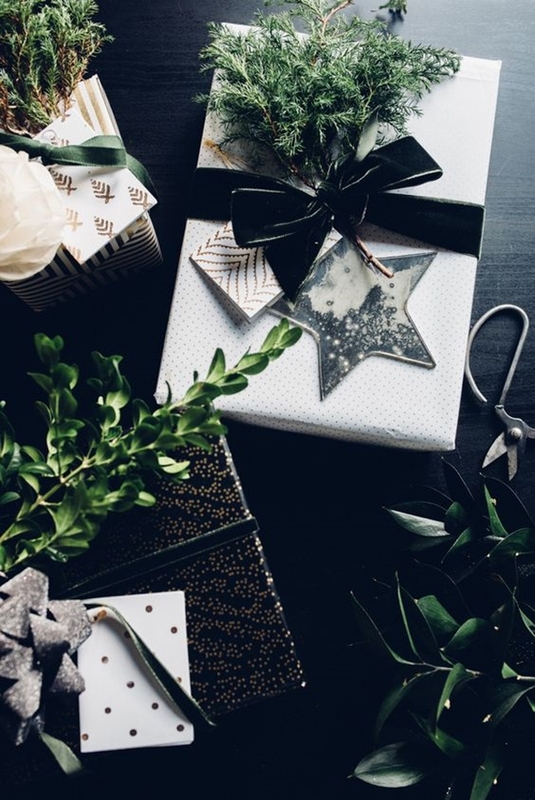 Wrap the gift with a white gift paper and cut out cute shapes like rectangle, square or triangle of washi tape and stick it over the gift in any random pattern. Write some beautiful yet funny Christmas saying on the gift card, to make the moments more special. 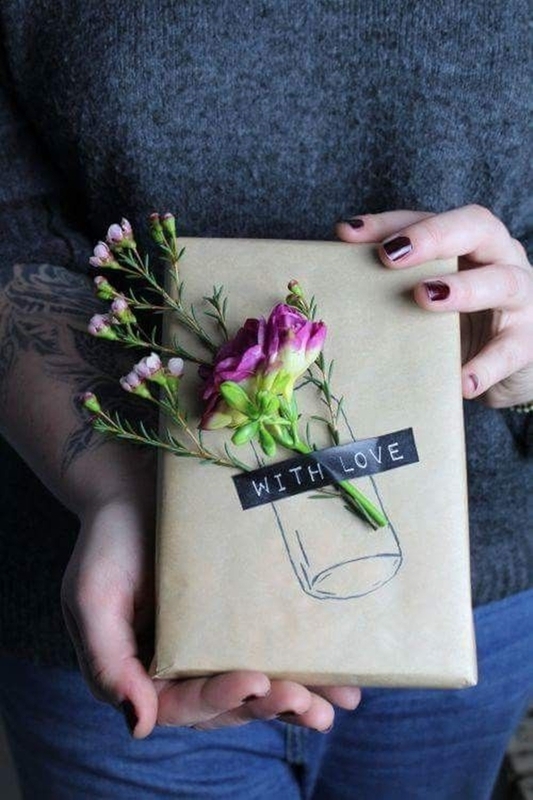 You don’t have a lot of time in your hand for gift wrapping? 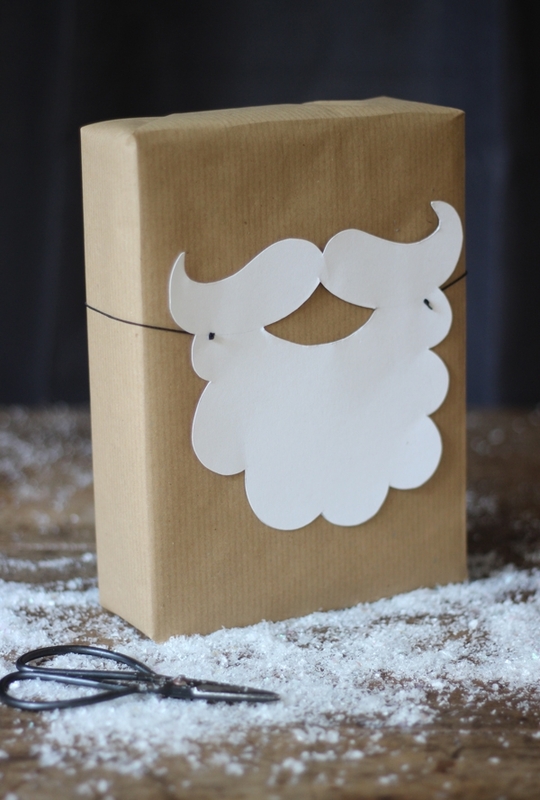 Trust me, this is the last minute easy gift wrapping you can do. 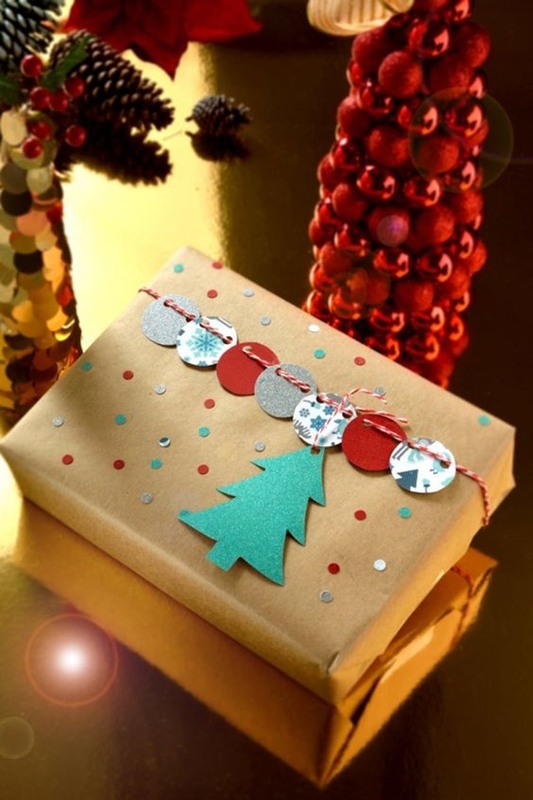 Wrap the gift with a solid colored light gift paper (White or brown) and stamp Christmas tree over it. 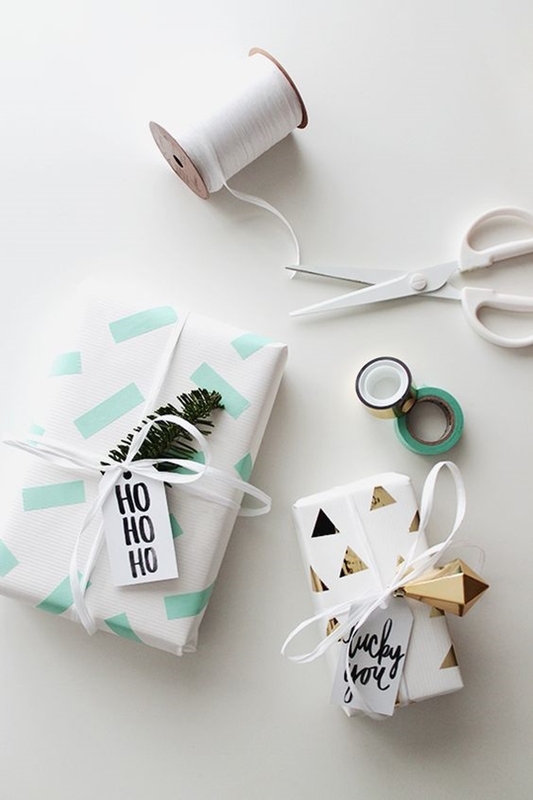 Tie together a Christmas themed ribbon for the last minute beautiful gift wrapping ideas for this Christmas. Are you too bad at drawing a Christmas tree? 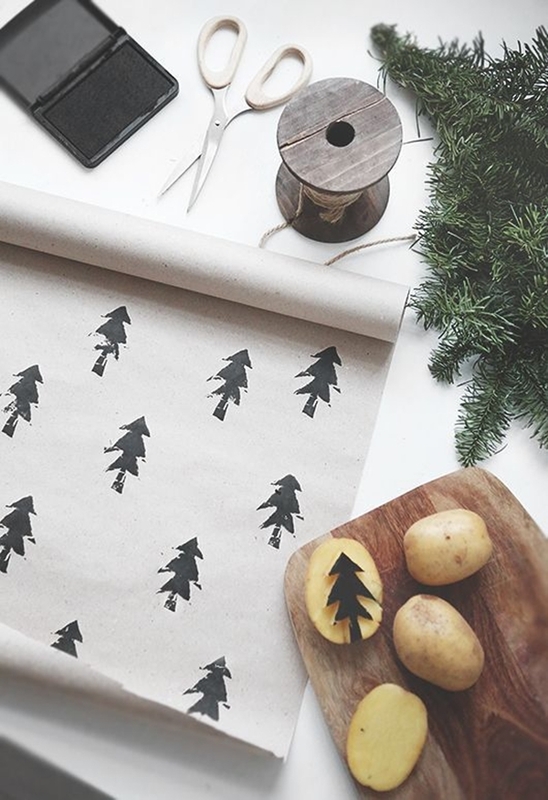 These printable Christmas tree wallpaper are here to the rescue. 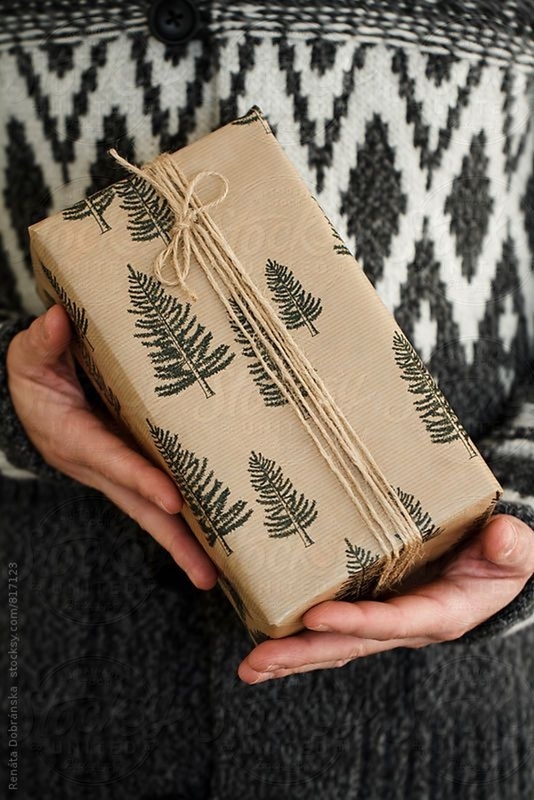 If you don’t get any stamped gift paper in any mart, no worries. 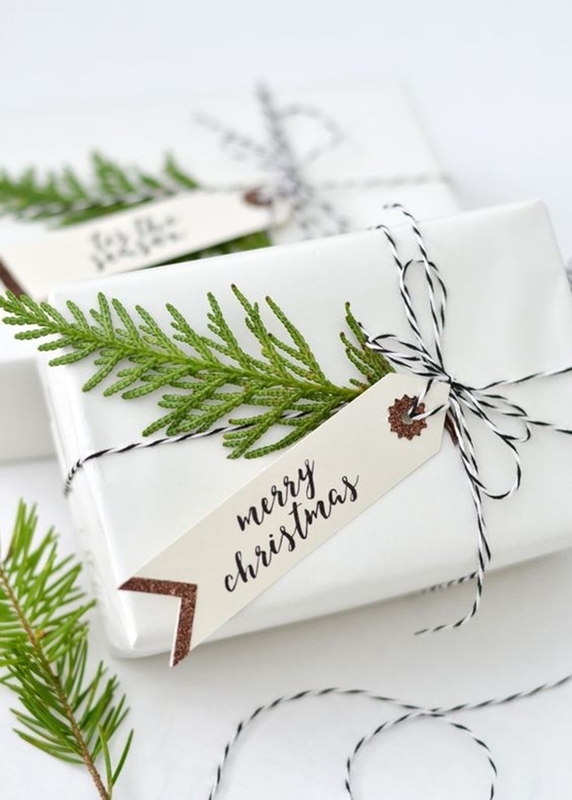 You can make a stamped gift paper yourself. Polka dots are easy to make, just make white ink and a pencil eraser. 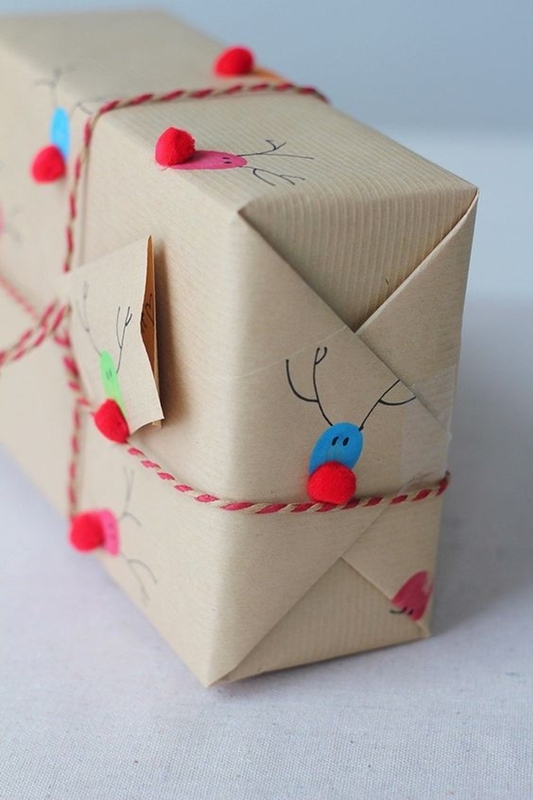 Wrap the gift with brown paper and start stamping polka dots with a pencil eraser. To finish the look, wrap it with a white satin ribbon. Make the kids do the crafty job while you sit back and relax for a while. Kids love doing Christmas themed craft work. 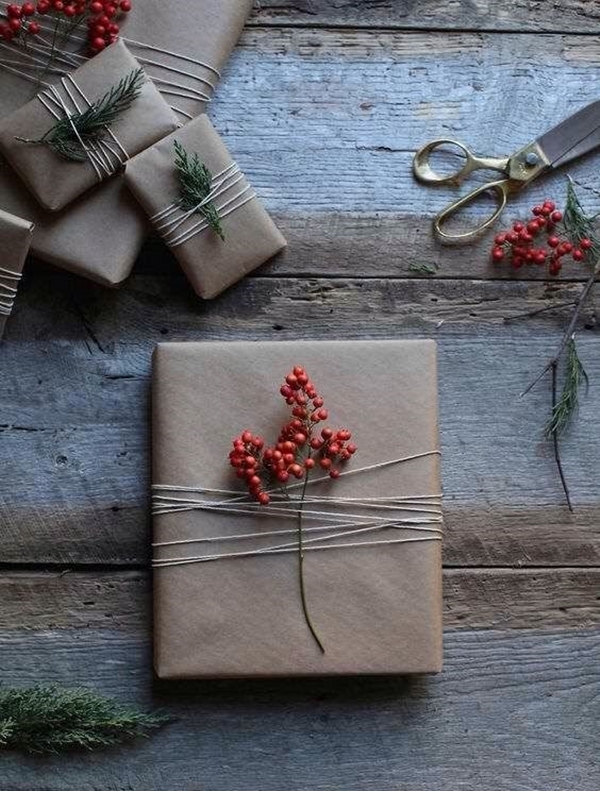 Give your gift a rustic and classical wrapping. 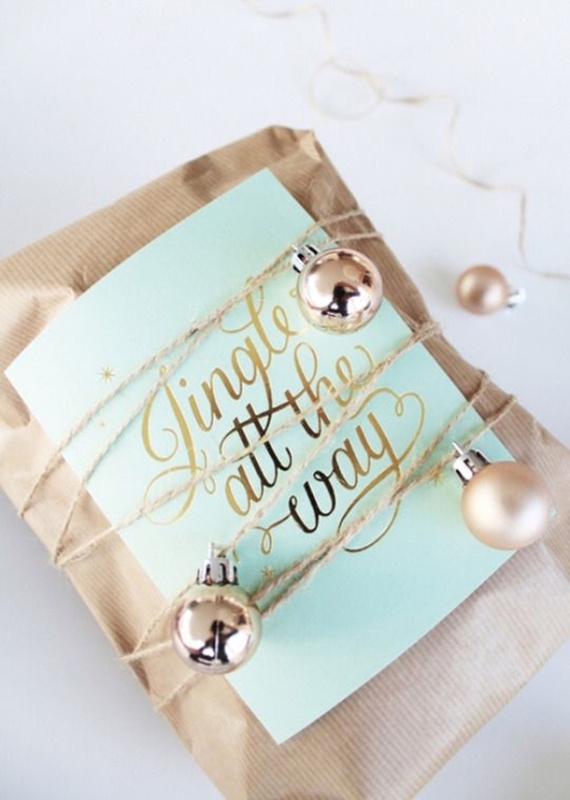 Wrap the gift with the modern day chalkboard paper paired with burlap having copper reindeer bell. 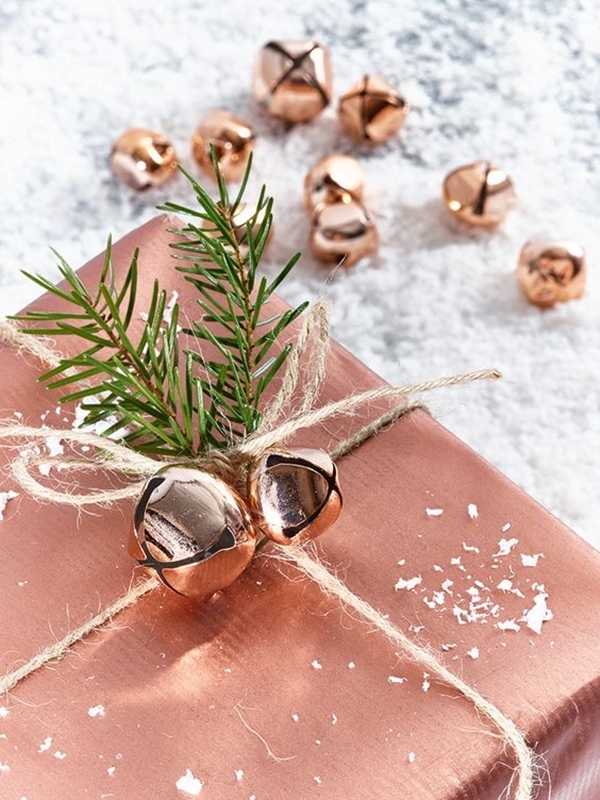 While Christmas tree decoration shopping, buy a few extra reindeer bells and paint its copper color. When the bell ting, your smile bling. Reindeer’s bell is an important decoration item for Christmas tree decoration. Old fashion is the best fashion. 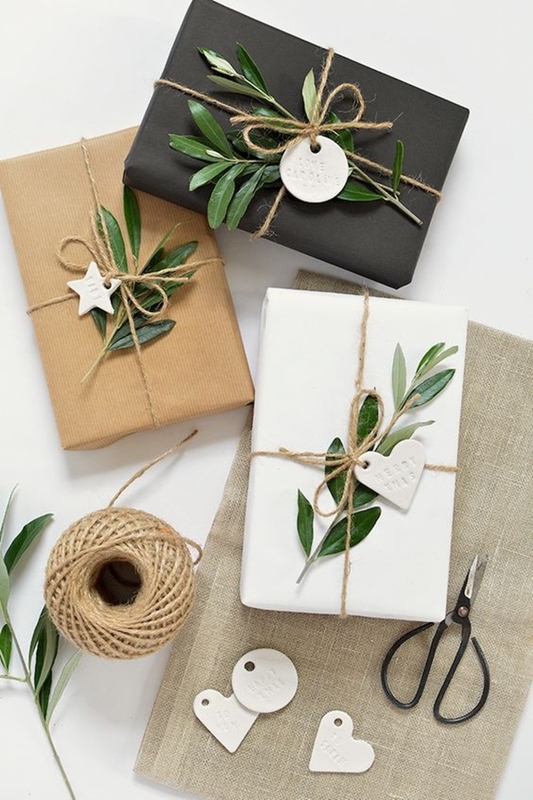 Rustic wrapping styles are the brilliant gift wrapping ideas for this Christmas. 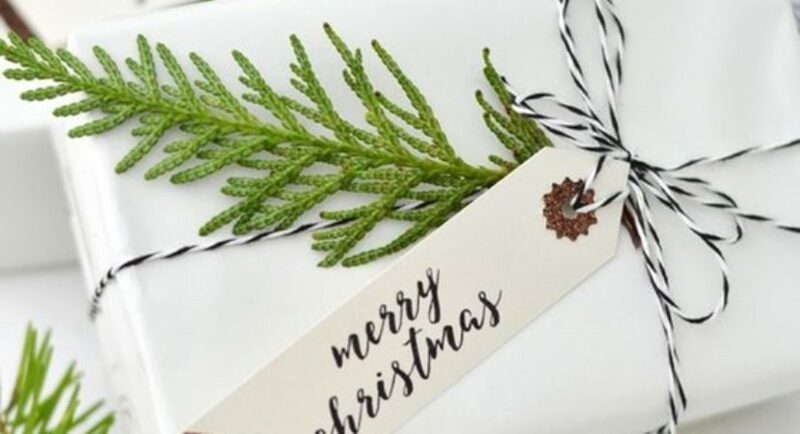 Wrap the gift with plaid ribbon and an evergreen leaf and gift tag attached to it. A little greenery only makes it looks cuter. Rustic Christmas gifts always remind me of the snow globe I used to make during my childhood. Don’t let the tradition die and teach your kids how to make perfect snow globe this Christmas. 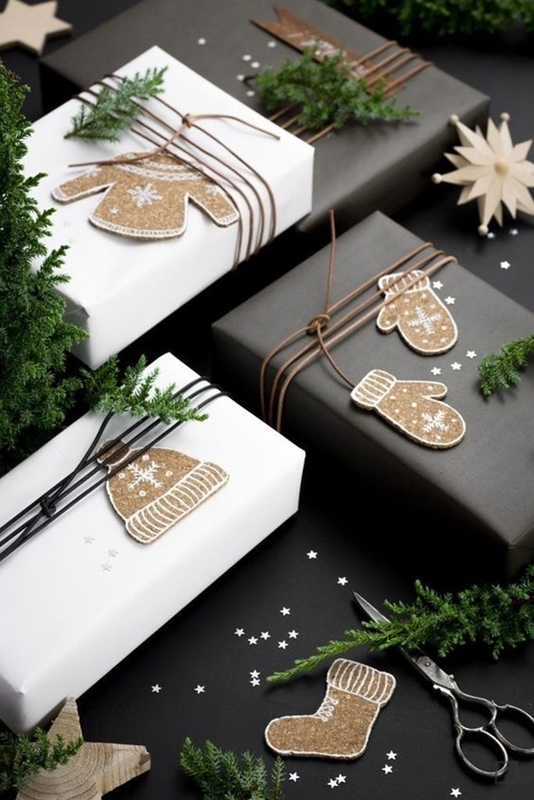 Just like the roads are covered with white snow, your gift should also be covered with white (Not snow, apparently). White is color of simplicity and elegance. 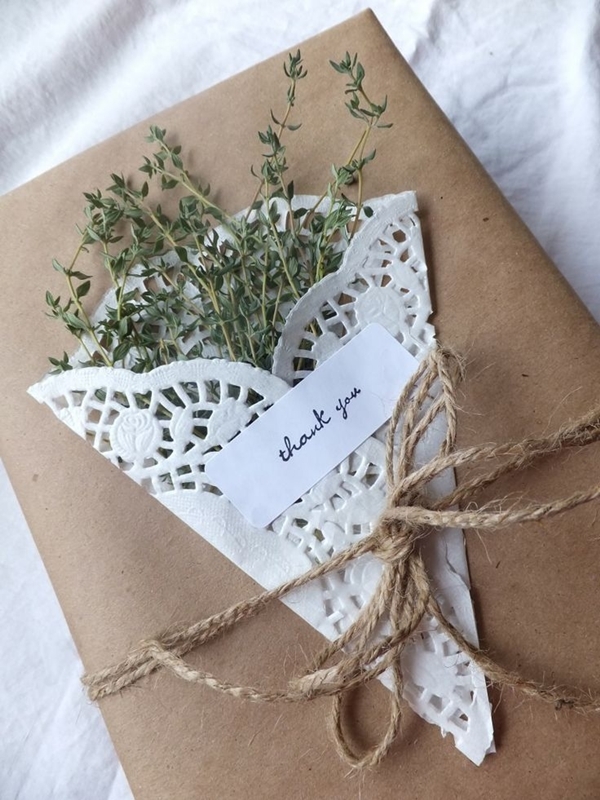 Wrap your gift with white paper and white lace around it. White always remind of the White ghosts of Halloween time, when everything around is so dramatic and funny. What was your funniest Halloween costume? 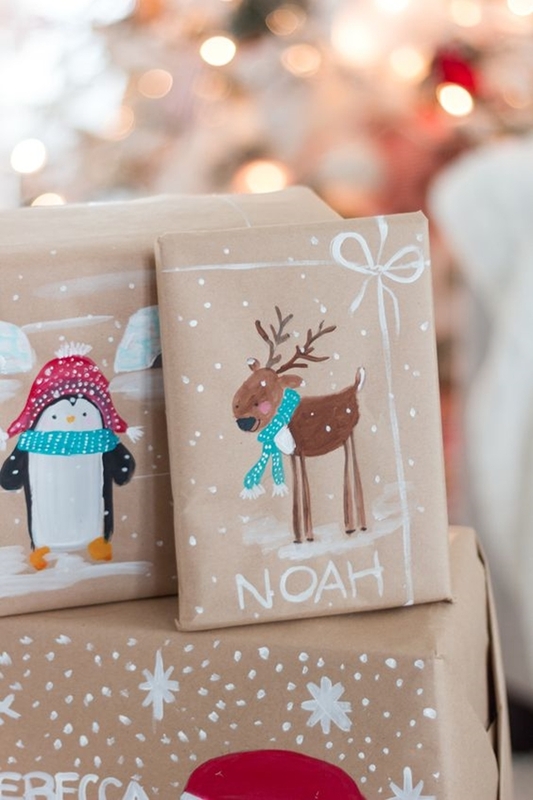 These brilliant gift wrapping ideas for this Christmas makes it look more customized. Impress your loved one with your beautiful gift. 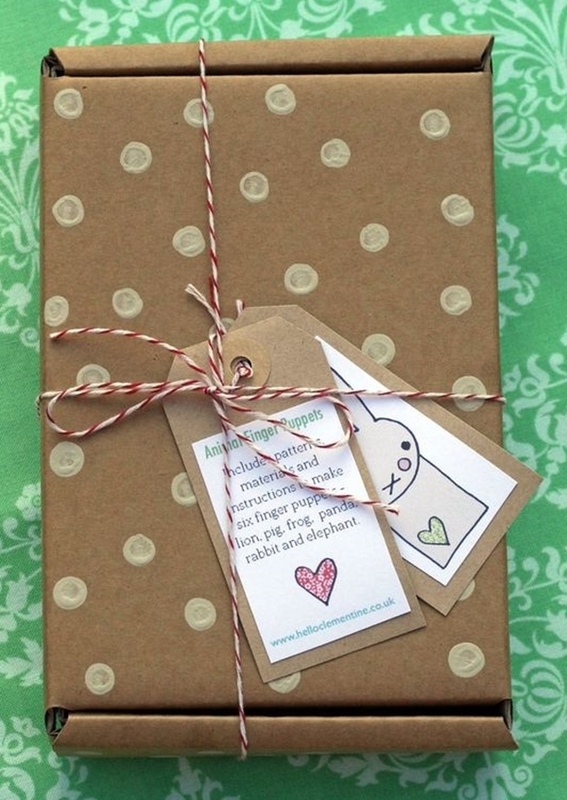 Gift wrapping hardly takes any time and it’s too inexpensive. So win-win! Have a happy Christmas.